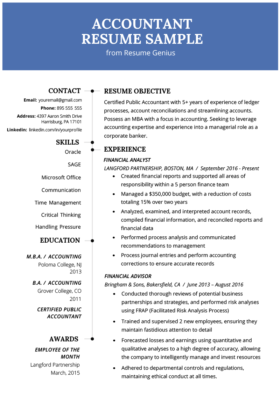 This professionally-written cover letter sample is designed specifically for Accountants. View the sample below to learn how to improve your own. 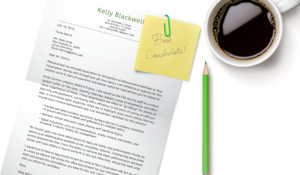 Download and customize for a perfect cover letter. With great willingness, I am applying for the position of (POSITION) which was advertised on the (COMPANY NAME) website. I believe that my education, skill-set, and experience make me a suitable candidate for this vacancy. I am a highly organized and self-driven individual, passionate about developing my career in the field of Accounting as a Corporate Banker. My commitment can be gauged from the fact that I am an accredited holder of a MBA degree with finance as specialization from Poloma College. Possessing more than 5 years of experience of working in diverse financial positions with multiple companies, I have gained an extensive insight within this field. My key competencies include, but are not limited to, maintaining financial records, managing budgets, risk assessments and business strategy reviews. In my current position with Langford Partnership where I work in the capacity of Financial Analyst, I am responsible for leading a team of 5 and carrying out a wide range of commercial processes. During the course of my career, I have gained a specialist’s understanding of financial instruments and accounting software and have also been effective in explaining complex information in a comprehensible manner.